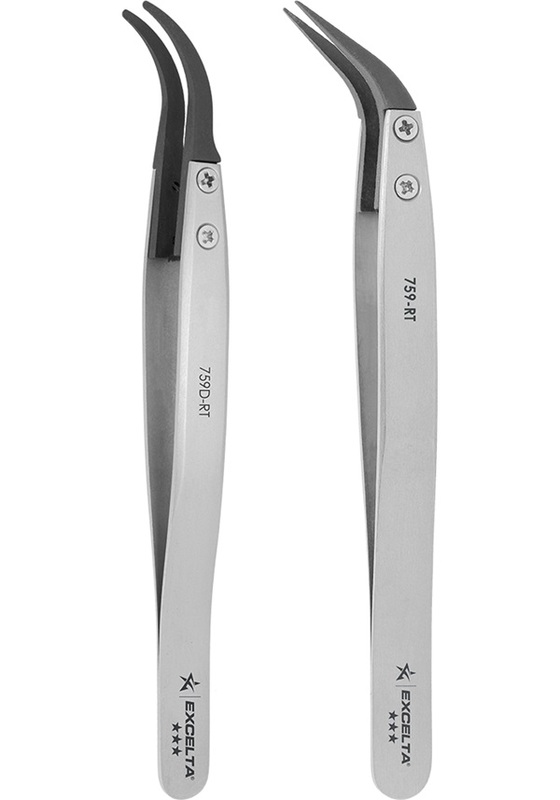 These 40° curved soft replaceable tip tweezers have very high rigidity, excellent tensile and flexural strength, fatigue and creep resistance, and temperature resistant to 249°F. Carbofib™ is a polymer based material with 30% carbon fibers added (conductive 10² ohms/sq). The bodies are made of anti-magnetic Neverust® stainless steel (AISI 316L). They are excellent for handling delicate items.